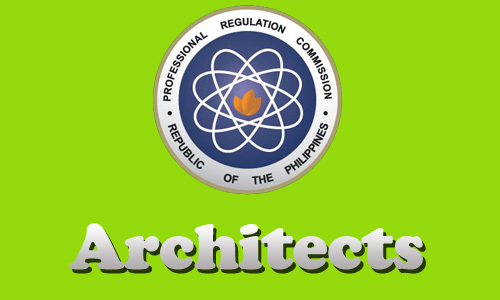 The 227 out of 378 passed the Architect Licensure Examination given by the Board of Architecture and Professional Regulation Commission, it was held in Abu Dhabi, United Arab Emirates; Jeddah and Riyadh, Kingdom of Saudi Arabia and in Doha, Qatar last October 2013. The Board of Architecture Chairman, Arch. Rolando L. Cordero with two other members, Arch. Yolanda D. Reyes and Arch. Fidel Jose R. Siapno. Please be advised that you can view here the topnotchers of the October 2013 Architect Engineer Board Exam. For the meantime, please bookmark this page now or visit this site more often for you to be updated. You may also share this post to your friends so they may know about the Architect Board Exam Results (Middle East). Comments or suggestions about "October 2013 Architect Board Exam Results (MIDDLE EAST)" is important to us, you may share it by using the comment box below.